Barry and Jess met during grad school at the Boston Conservatory. They are both music teachers in public school, but also enjoy hiking and exploring New England on day trips. 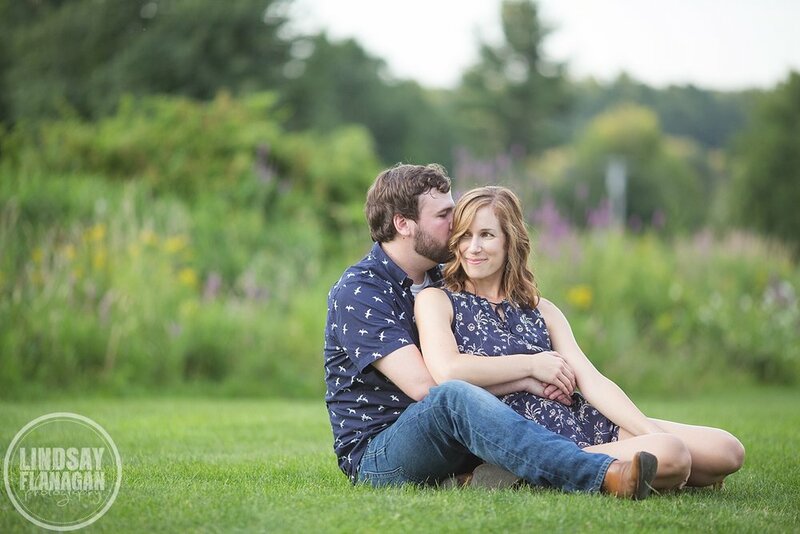 They wanted to do their engagement session at a place where they could have fun together, so what better location than Kimball Farm in Westford, Massachusetts? Barry and Jess played a little mini golf, rode the bumper cars, shared a picture perfect ice cream cone together and finished the night by playing their favorite arcade game, air hockey. It was a blast! I can't wait for their wedding next summer at The Barn at Gibbet Hill!